I have autoimmune neutropenia with recurrent pneumonia. I used to get pneumonia almost every month with hospitalizations. Now I get pneumonia 2 or 3 times a year and only get hospitalized about once a year. I take 90 micrograms Neupogen every other day. It's like a brand new world. No side effects from the Neupogen because it is a small amount. I get bone pain from 300 micrograms. I have had autoimmune neutropenia for over 10 years now! My current CBC was, WBC 1.8, and ANC 600. I have had multiple bone marrow biopsies, which have turned up nothing. No explanation. Over the past couple of years it has gotten worse, the mouth sores, skin boils, infections, chronic fatigue, muscle pain; this really knocks you down. I have had to be on Neupogen twice in the past two years, but we try to keep it limited as the side effects I get are terrible! There is not much information out there, but I keep looking! My best advice to everyone is to stay positive and capitalize on your good days, and rest on your bad days! Ever since I was a baby, my dad remembers I got these odd skin lesions. They continued, as I got older those 'skin lesions' got blown off as acne. Dermatologists even thought so, after all the lesions despite being inflamed and an off color, never showed signs of pus. Doctors noted the cultures always came back positive for MRSA. At 17 I saw a doctor specializing in infectious diseases. He tested me and made the realization I was living my whole life with neutropenia, ANC of 521. I get skin lesions, everywhere. Lately as I've gotten older it gets worse, I recently went to the hospital. Bacteria had entered my blood and infected my lungs and intestines. Now I'm on 100mg of Minocin daily for the rest of my life. Septra won't work anymore and the clindamycin is too dangerous to take for too long. I find myself lucky that I've lived for as long as I have, especially to have had it as a baby. I hope I continue to live. Sometimes I doubt the antibiotics are healthy to take long term but I realize that day I went to the hospital I could've died that night. I felt closer to death that night than I ever have, I thought I was going to fall asleep and pass away. It's scary, especially when you don't have insurance. I am a retired nurse, I had neutropenia all my life or at least 10 years. It was this new general physician that I went to recently that neutropenia was raised. I only suffered school sores as a kid, seldom get URTI (upper respiratory tract infections), and generally fit as a 66 year old. But now there is a sore in my lower lip that stubbornly wouldn't go away after 5 days! I was diagnosed in 2001 after my white count began to decrease. I also had a neurological reaction to the flu shot several years ago and then a less serious neurological reaction to the flu a couple of years later. I was diagnosed with multiple sclerosis. I saw an MS specialist in Houston who said I did not have MS. I have the autoimmune type of neutropenia. The doctors have been trying different amounts of Neupogen, but it only lasts about 36 hours and then my counts are down again. The Neulasta only lasted about 6 days, but I couldn't tolerate the side effects. I have been hospitalized about 5 times in the last 13 years for infections and fevers. I have to wear a mask when I fly and avoid crowded places. I wash my hands all the time, but I have been around my 2 year granddaughter when she is sick and I don't seem to get sick. A doctor said that he thought my other kinds of white cells were taking over a bit for my lack of neutrophils even though that count is also low. Two bone marrow biopsies and many doctors and all I got is a prescription for an antimicrobial body wash and mouthwash and finally the Neupogen. This has really affected my ability to work, but many people have it worse and the Neupogen cuts down my exposure time. I have had neutropenia since I was young but only just found out about it because I have been suffering with ulcers in my mouth and abscess on my face. I am now no GCSF and it's the best thing ever. I no longer have symptoms. Please talk to you doctor, because this is a very serious disease and they can help. I am having my second bone marrow biopsy next week. I was just diagnosed with neutropenia. I felt fine until today, when I started getting sores in my mouth. I am not scheduled to see the doctor again for a couple of weeks. But I'm concerned, so I may contact him sooner. I just found out that I have neutropenia. 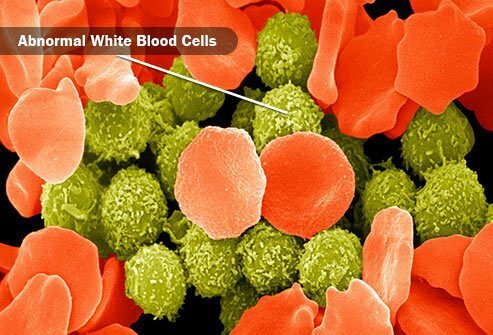 My WBC is 3.2 and neutrophil is 1021. My symptoms are sore tongue, constipation, fatigue and pinprick feelings in my hands and feet area. My daughter was diagnosed with neutropenia nearly 5 years ago. We have had numerous stays in hospital with infections. She was on amoxicillin for more than 4 years to try and help her fight infections. The last few months her counts have been over one. The doctor thinks she may be growing out of it. My best friend developed neutropenia at age 21 after quite some time of being ill, at this stage they didn't know what neutropenia was, they have changed the names over the years cyclic neutropenia sepsis (doesn't exist) to cyclic neutropenia to neutropenia sepsis I don't really think they knew much at all, he was constantly in hospital with infections and pneumonia, it got the best of him 6 weeks ago:( he was aged 36. Please if you have neutropenia make sure you look after yourself and read up on it don't just trust the doctors! I was just diagnosed at the age of 50 with neutropenia. I have never had any symptoms and have been extremely healthy which puzzles both me and my doctor. My doctor recently took over from my previous doctor of 25 years who was retiring and looked back in my file to see I have had this for conditions now for 2 years. I don't know if I should be concerned or not! My two year old grandson has neutropinia. He has had all infections at once staph and skin infections scarlett fever and step and over all ear infections now. He is on neurogen shots I give him at home he's two years old and doing well for now we are still waiting for his one year old sister's results on neutropinia. I have neutropenia and feel very exhausted. My mouth is sore and my arm aches. Also I am getting shooting pains in the right side of my neck.